The Sun could be hiding a deep secret, according to a new study from an international team of astronomers and astrophysicists at the National Centre for Radio Astrophysics (NCRA), in Pune, India. Researchers studying space weather utilized the new Murchison Widefield Array (MWA) in Australia, obtaining the deepest radio images ever taken of our local star. Coronal mass ejections (CME’s) emanating from the Sun have been known to play havoc with electrical systems, and a powerful event of this sort, striking Earth, could wipe out technological civilization, sending our species back to the 18th century. “The Sun is a surprisingly challenging radio source to study. Its emission can change within a second and can be very different even across nearby frequencies. In addition, the radiation due to the magnetic fields is so weak that it is like looking for the feeble light from a candle in the beam of a powerful headlight. 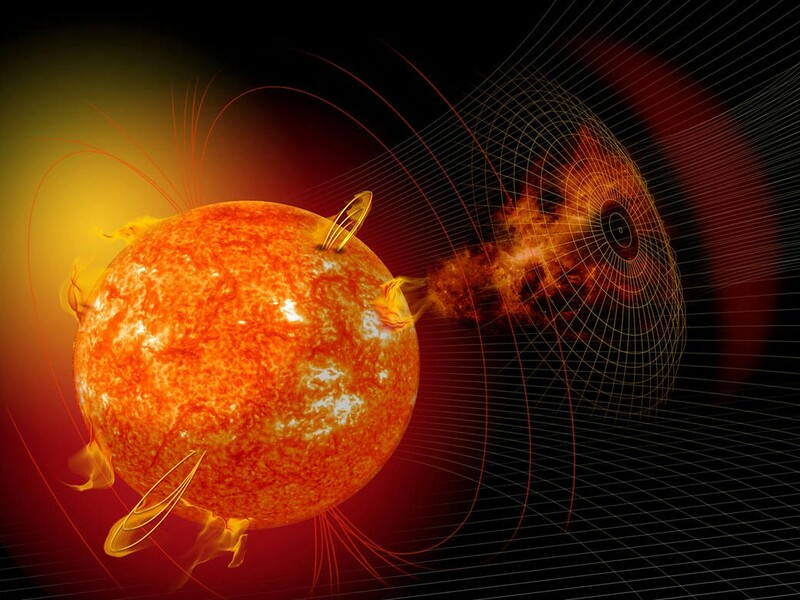 On top of this, seeing coronal emission at radio frequencies is a bit like looking through a frosted glass, which distorts and blurs the original image,” Dr. Divya Oberoi of NCRA explains. The source of energy for these massive explosions are magnetic fields in the atmosphere of the Sun, known as the corona. Observations of these processes in radio waves provides valuable information in the quest to understand how these events form. To obtain these images, NCRA researchers collected data at half-second intervals, over hundreds of frequencies, producing a million images per hour. 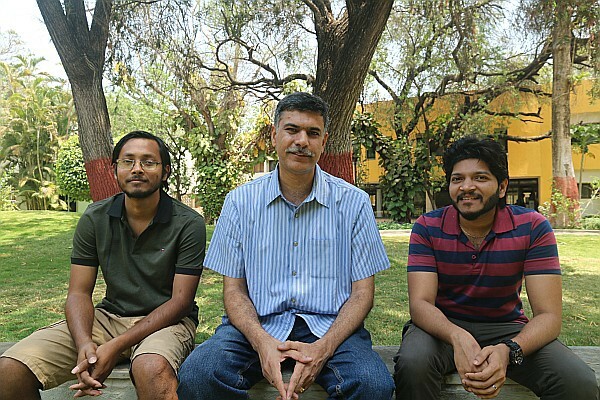 “The solar images from this pipeline also offer the highest contrast which has ever been achieved, and are a big step towards understanding space weather,” Surajit Mondal, lead author of an article on the study published in The Astrophysical Journal, stated. This new study reveals unexpected changes in the size and brightness of the radio-emitting region of the Sun, suggesting unusual processes may be taking place at the base of the solar atmosphere. Recently, solar “rain” was found near the surface of the Sun, showing how much we have yet to learn about this region of our local star. Solar eruptions can be the most powerful explosions in the Solar System, and they have been known to affect the Earth. The solar storm of 1859, known as the Carrington Event, wreaked havoc with telegraph systems, causing some of the machines to send out signals on their own, electrocuting their operators, and even starting fires. If such an event were to happen today, with our technologically-dependent world, chaos could ensue. In March 1989, a smaller, yet still significant, solar storm struck our planet, resulting in a blackout around Quebec, Canada, depriving residents of electricity for periods between hours and days. In 2005, X-rays from a solar flare disrupted the GPS system and satellite-to-ground communication for 10 minutes, affecting travel on air, sea, and land. Just seven years later, on July 23, 2012, a solar super storm similar to the one in 1859 erupted from the Sun, but was aimed well away from Earth. Coronal Mass Ejections should not be confused with solar flares, which are much more common (and far less powerful). 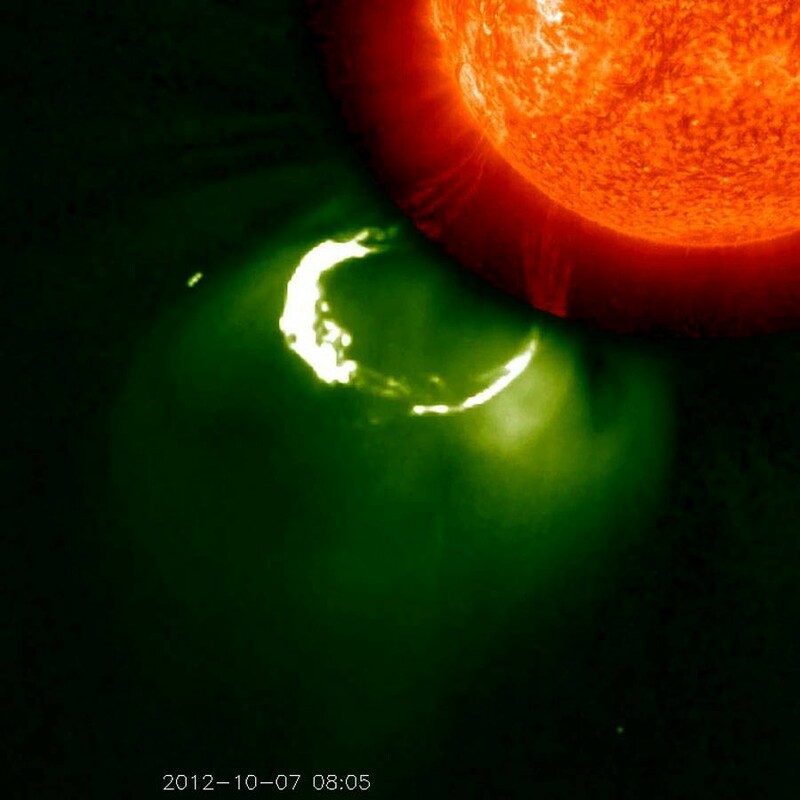 Flares were once thought to be associated with CME’s, but recent research disproves this idea. “CMEs are huge bubbles of gas threaded with magnetic field lines that are ejected from the Sun over the course of several hours. Although some are accompanied by flares, it is now known that most CMEs are not associated with flares,” the European Space Agency (ESA) explains. An CME like the Carrington Event could cause power systems around the world to fail, with just a few hours notice. Such a massive solar storm, aimed directly at our home planet, could result in a global blackout that could last years, while wiping out satellites, setting the technological level of society back to the 18th Century. Astronauts in space would have minutes or hours to seek shelter from deadly radiation, planes in the air would need to land en masse without the benefit of satellite communications or navigation, and damages could be measured in trillions of dollars. How Much Longer Until this Happens Again? Fortunately, geological studies reveal encounters between Earth and major solar storms only take place rarely. “In the 160-year record of geomagnetic storms, the Carrington event is the biggest. Energetic particles leave a record in nitrates in ice cores. Here again the Carrington event sticks out as the biggest in 500 years and nearly twice as big as the runner-up,” David Hathaway, former solar physics team lead at NASA’s Marshall Space Flight Center, explains. In addition to finding evidence of unknown processes taking place in the depths of the corona, the NCRA study also developed new means of measuring how radiation is affected by passing through the Sun’s corona. “A constant stream of charged and magnetized plasma flows out from the upper solar atmosphere. As radio waves from distant sources traverse this inhomogeneous and turbulent ‘solar wind,’ their wave fronts get distorted. 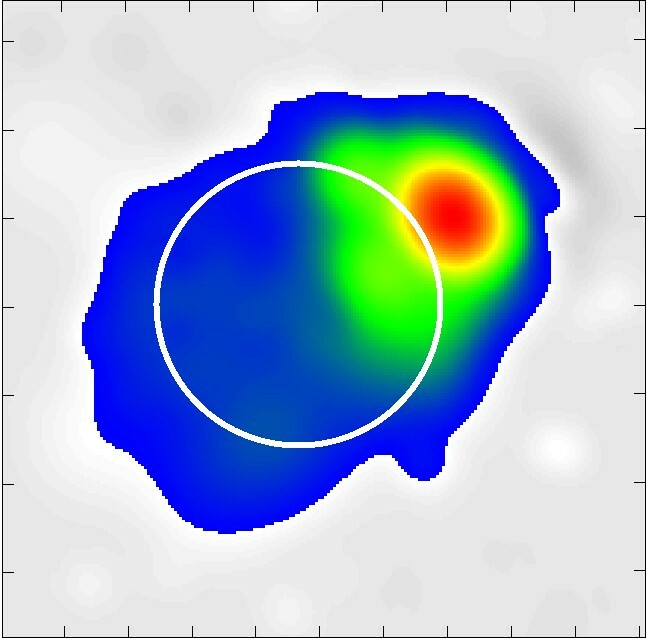 For compact sources, this leads to the phenomenon of Interplanetary Scintillation (IPS), analogous to the optical twinkling of stars,” NCRA researchers explain. A CME could result in the loss of all electrical power worldwide, although the chance of one striking the Earth in the coming years or decades is slim. Still, it probably wouldn’t hurt to have a wind-up alarm clock on-hand, just in case.